Monday, June 1st brings Jessica Peterson to the Dish. 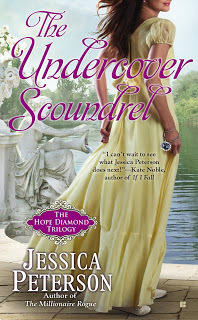 Peterson's new historical romance, THE UNDERCOVER SCOUNDREL releases on June 2nd and wraps up her action packed The Hope Diamond trilogy. Kat Martin blogs with us on Wednesday, June 3rd. AGAINST THE TIDE, Martin's newest book, wraps up her Brodies of Alaska romantic suspense trio. On Thursday, June 11th, we welcome the Robin Bielman book tour. BLAME IT ON THE KISS, a contemporary romance from Bielman's Kisses in the Sand series will be released June 9th. Friday, June 12th brings the Debbie Mason WEDDING BELLS IN CHRISTMAS review tour to TRD. 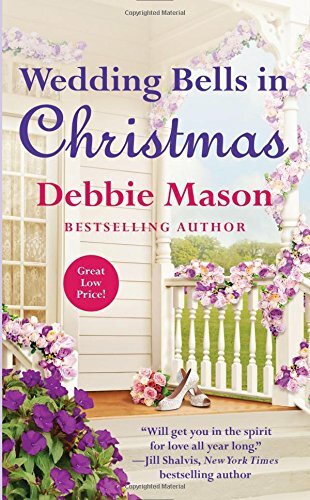 This newest book in Mason's Christmas, Colorado series was released May 26th. 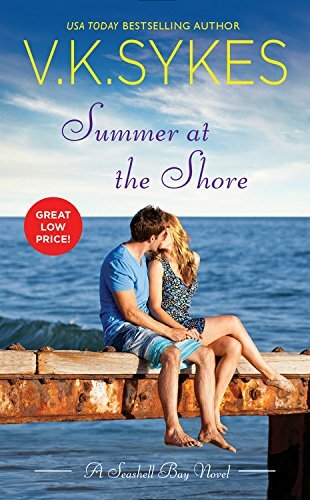 We kick off a new monthly column on Monday, June 15th when Janga brings us her review of a reissued romance novel. I'm looking forward to discovering some great books I missed the first time around! On Friday, June 26th, we'll be hosting Suzanne Ferrell, J.D. 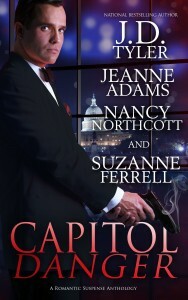 Tyler, Jeanne Adams, and Nancy Northcott as they blog around their new romantic suspense anthology, CAPITOL DANGER. The V.K. Sykes SUMMER AT THE SHORE spotlight tour stops at the Dish on Monday, June 29th. This second book in Sykes' contemporary Seashell Bay series releases on June 30th. I hope you'll join us for what's shaping up to be a terrific month of June! There's always something to look forward to at the Romance Dish! It all sounds good. Reading Kat Martin's now. I think Debbie Mason's books sound good and I am eager to try them. Hoping to pop in more now that summer is here! I am never going to run out of books to read. Thank you.